Andy Chiu is a Maryland native. As an avid outdoorsman since he can remember, he has been guiding for over 25 years now. 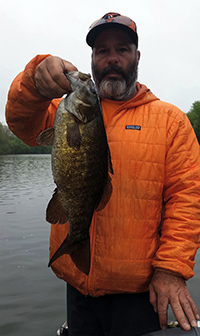 After living in Montana for 15 years and guiding anglers and hunters around the world, Andy now resides and pursues his passions in Maryland as a fishing guide. Rest assured you will find him on his days off chasing his obsession fly fishing on the local rivers. He has fished and guided both salt and freshwater around the world. Montana, Argentina, Mongolia, Florida Keys, and the Chesapeake Bay are a few of his favorite destinations. He is also a devoted fly tyer for both fresh and saltwater. Full of patience, he is ready to teach anyone his knowledge of the local rivers and the techniques to fish them. 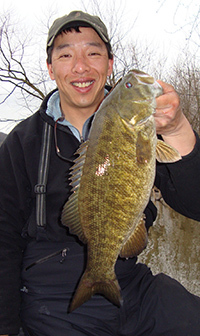 He is here to make sure that your fishing experience will be both enjoyable and memorable. 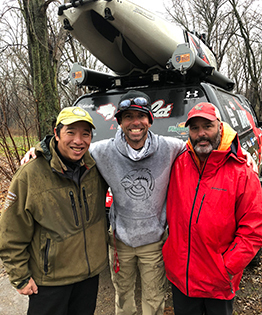 Andy's knowledge of the local history and surrounding habitats will also assure a wonderful learning experience in addition to a fantastic fishing one.